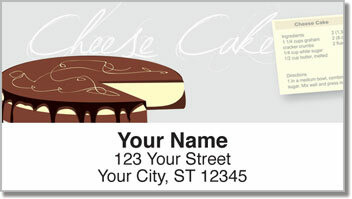 If you love baking sweet treats and consider it an art when you pull the perfect desert out of the oven, then these return address labels are an excellent choice! Let them be the secret ingredient for all your letters and packages. 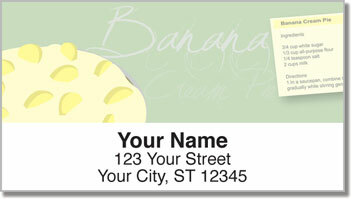 It's a delicious design that makes a fantastic finishing touch to every envelope. Pie Recipe Address Labels from CheckAdvantage may remind you of the pie-making techniques handed down to you from Mom and Grandma. Now you've mastered their mouth-watering methods! These convenient labels will allow you to complete an everyday task without any hassle. 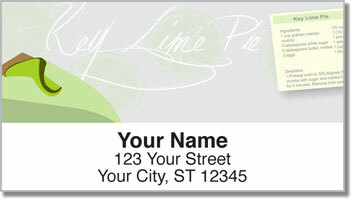 Preparing outgoing mail will become easy as pie thanks to the self-adhesive backing that lets you simply peel and place! 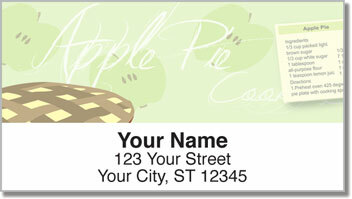 Order your own Pie Recipe Address Labels right now! Get them with a set of matching checks!